It was at the Cheshire Show this year, when I got the chance to try Guinness on them, that I finally convinced myself they were worth the price tag. Guinness happily jumped on and lay down and the large size was perfect for him. We wandered around the show then went back at the end of the day, forked out the 40 odd quid (that was with show discount and no p&p) and proudly carried the new bed home in its own cushy bag. The HiK9 guys were lovely and it was interesting to hear how they came up with the idea while lying on their own camp beds on a camping trip. They were also the only stall at the whole of the Cheshire Show to have not one but two dog paddling pools full of water. Considering it was a baking hot day this was a real life saver! The reason its been such a dilemma for me is because Guinness doesn’t really use a bed. He never slept on his padded, circular bed as a pup and then when we tried him with mattress and vetbed style ones he never really used them either. As he’s got a little older he now uses his thin pad bed to eat chews and bones on and sometimes goes to lie down with a toy, but he still never sleeps on them. 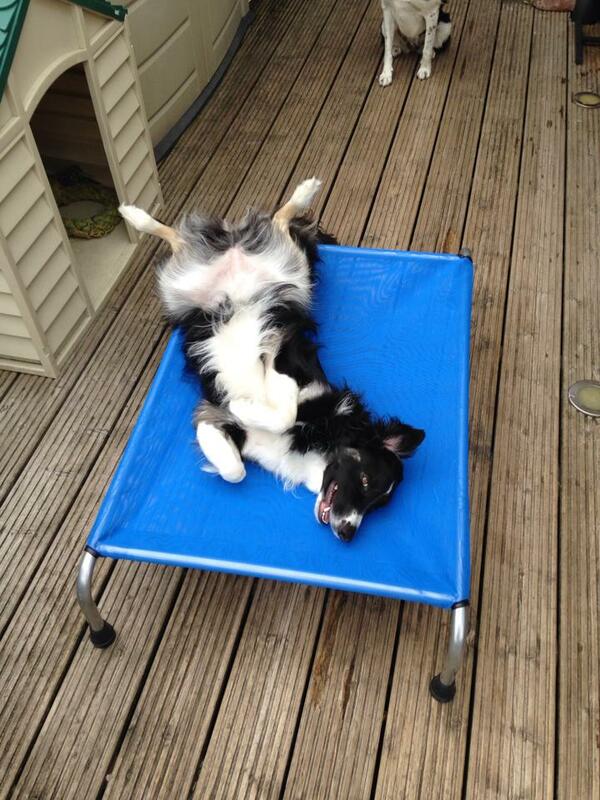 So why did I fork out over £40 for a dog that doesn’t use a bed… two words: agility training! These beds are so sought after because they sit off the ground on a metal frame with a mesh lining. 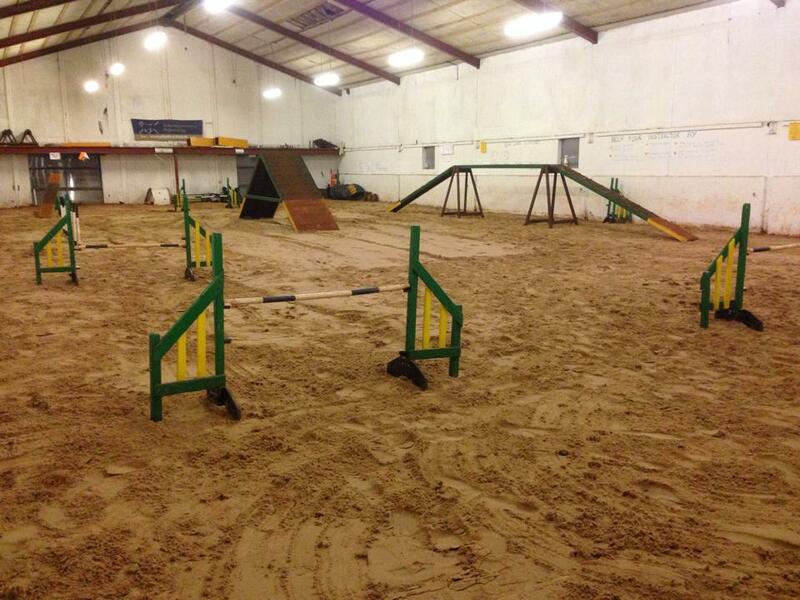 This gives the dog more comfort and ventilation, plus it makes them ideal for using on wet grass or in a sand arena, such as equestrian centres and Dig Its agility arena! 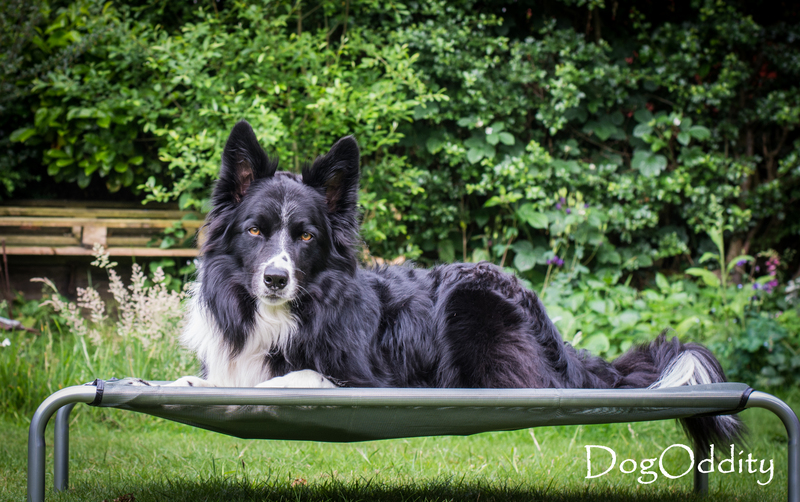 I love using a bed during training in obedience and agility, it gives Guinness something to do and a place to be while other dogs have their turn. He’s terrible for barking while other dogs are doing agility, especially so if he hears “okay” or the sound of dogs running through the tunnel, and while I can keep him busy doing tricks and short stays I would prefer if he settles, which he has been learning to do more and more on his bed. 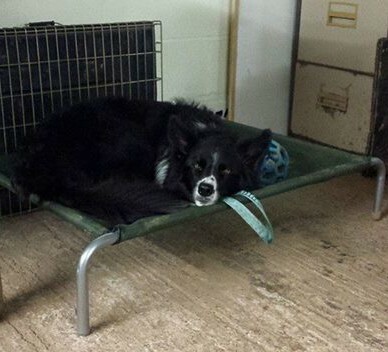 We’ve used the Hik9 bed a number of times now in group training and when alone and its perfect! The high legs keep the bed from getting caked in sand and then once we’ve finished you simply brush the bed and any sand and dirt falls through the mesh, cleaning it really effectively! It’s also easy to hose off and dries quickly too. Guinness seems to find it comfortable (although sometimes he looks a little awkward when he lies with his front paws hanging off one side) and he was even falling asleep on it towards the end of a particularly hard weaves and contacts workshop. The only minor problem I’ve had so far is that one of the little feet broke and no longer fits, therefore the bottom of the pole wasn’t protected and kept getting full of sand. 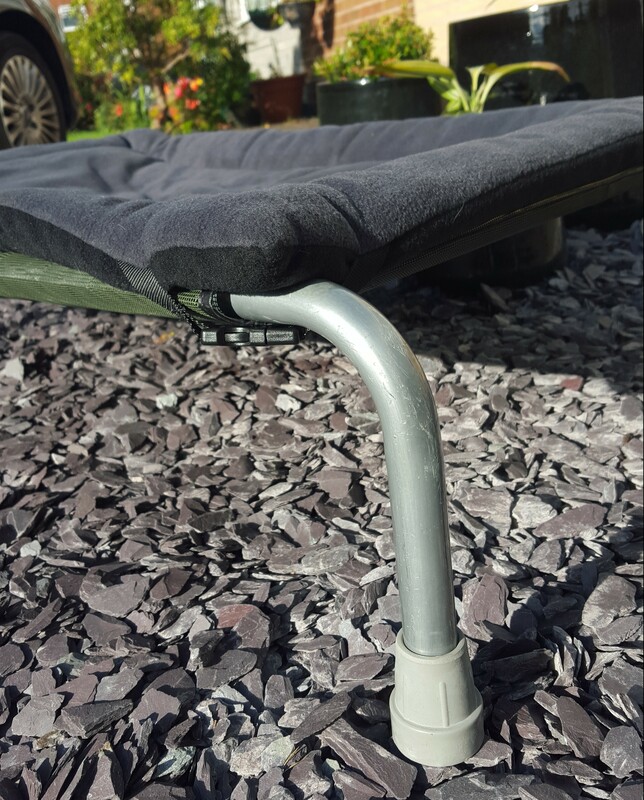 I’ve bought the tough feet (a shame these don’t come as standard) and they’re really strong and sturdy, a very useful addition, although you have to remove them to collapse the bed as the cover doesn’t slide over them. I also ordered a reversible fleece blanket that clips onto the bed. Guinness was going to be sleeping in an outdoor kennel for a week so I thought I’d give him the option of some extra warmth overnight, although we were all doubting whether he’d actually sleep on it or not (remember he doesn’t use beds). I opted for HiK9s own blanket instead of just a standard vetbed piece as they’re both about the same price and the way in which Guinness dives on and off the bed would soon send the blanket flying. As it turns out Guinness came indoors for the week so we haven’t used the blanket much, but I’m really pleased with the fit and quality and the quick attachments hold it securely in place. Considering the usefulness of the bed and the build quality, plus the number of good reviews I’ve heard, I expect the frame to last for Guinness’ lifetime, which justifies the price. 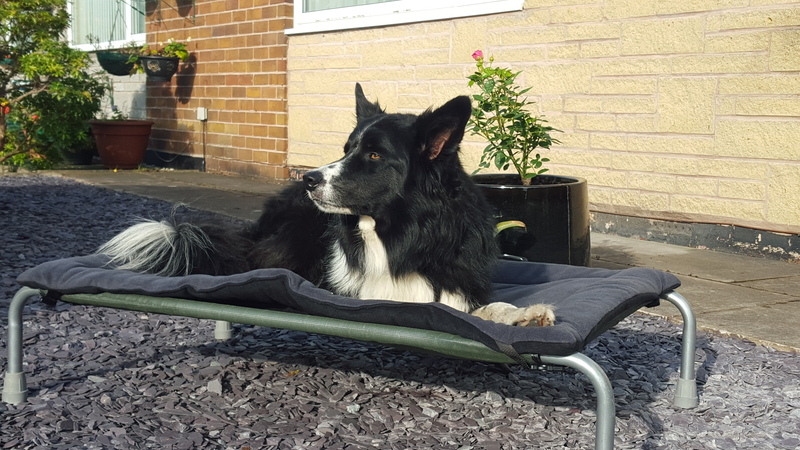 They’re perfect for using in kennels and arenas to keep dogs off hard, wet or sandy floors, plus they claim to be better on dogs joints than other beds and I get the feeling that Guinness will start to appreciate it more as he gets older. However if you’re thinking of buying one I’d suggest trying your dog on one first if you can. 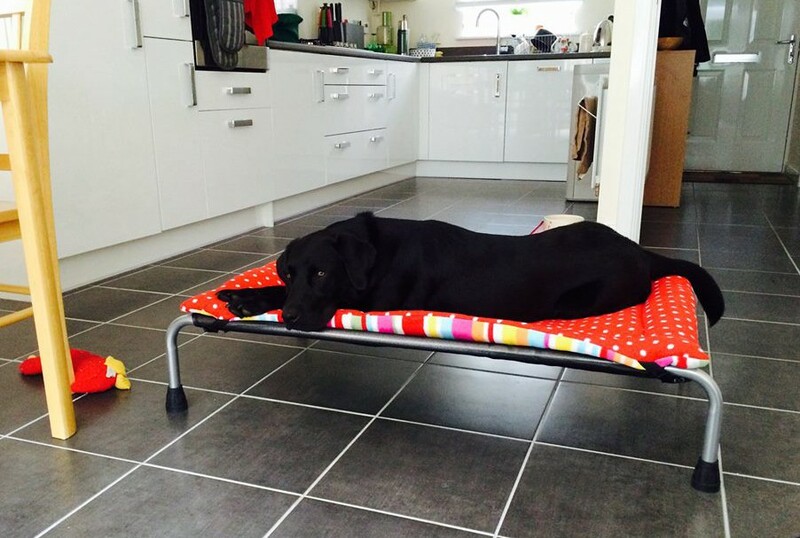 From reading some of the reviews a few dogs aren’t so keen to use them, plus it’s key that you get the right size to give your dog enough room to spread out. But as you can see, lots of dogs just love them! 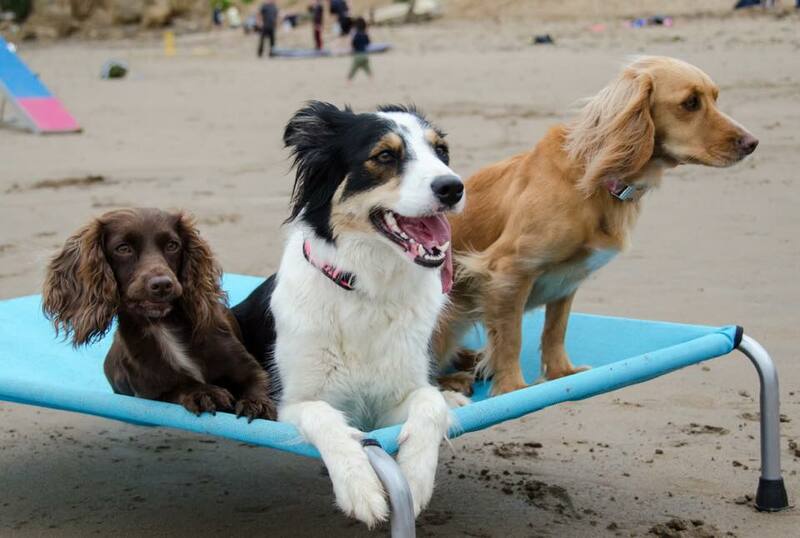 Big thank you to all who kindly contributed photographs of their dogs enjoying their raised beds! Love Guinness! I’ve had Border collies all my life, and 2 in the house now. They’re the best aren’t they 😊. I work with other breeds of dogs and really enjoy training them but nothing is quite like a collie. Can I purchase one of these beds online? I believe so, you just need to go to the HiK9 website.